Ms. Sills served as the company’s Executive Vice President and General Counsel from 2005 to 2018 where she managed all legal affairs and functions for the company. Ms. Sills has more than 28 years of direct legal experience and previously worked for 17 years in both the legal division and as Vice President and Director, Corporate Compliance for The Rouse Company. 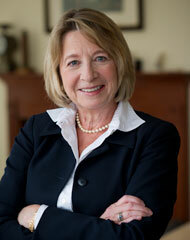 Prior to joining the Rouse Company, she was a partner at Whiteford, Taylor and Preston, a Baltimore law firm. Ms. Sills earned a Bachelor of Arts Degree in Journalism from the University of Michigan and a Juris Doctor Degree from George Washington University Law School.